The possible cancellation of the Serbian government’s decision to construct a new 350 MW unit at the Kostolac B lignite power plant was discussed on June 23 at the national administrative court of Serbia. The possible cancellation of the Serbian government’s decision to construct a new 350 MW unit at the Kostolac B lignite power plant was discussed on June 23 at the national administrative court of Serbia. Bankwatch member group CEKOR filed the case in June 2014 after serious flaws and inconsistencies in the Environmental Impact Assessment (EIA) had not been addressed in the final report approved by the government in December 2013. If the court’s decision, expected by the end of summer, is positive, it could require the project promoter, state-owned energy company Elektroprivreda Srbjie (EPS), to address all problematic aspects in a new EIA procedure. EPS is currently in the scoping phase for a new EIA decision after the original EIA expired in December 2015 according to Serbian regulation because the project hasn’t progressed since then. 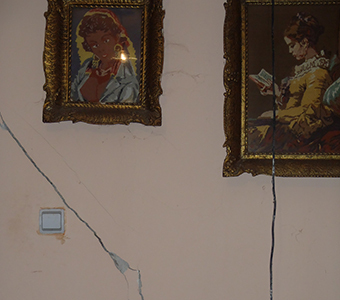 More than two years after the Kostolac B3 project received a go-ahead from the Serbian Ministry of Energy, the life for communities around the project site has become almost unbearable, with health problems, damages to real estate and other problems becoming a daily challenge. The construction of the new unit comes in a package with the 30% expansion of the Drmno mine over the next years as well as the construction of a railway to transport coal from the mine to the power plant. Essentially, the villages of Drmno and Stari Kostolac would be trapped inside a triangle between the railway, the mine and the power plant. Although the mine expansion and the railway construction should be seen as integral parts of the Kostolac B3 project, their environmental and social impacts of have not been assessed. This is all the more worrisome in view of the drama that the communities in another Serbian mining region, Kolubara, have been going through for over 10 years. In and around Vreoci, over 3000 people have been left in limbo, with restricted access to running water, noise, vibrations, air pollution and fear of what the next day will bring, as a result of extensive mining operations. 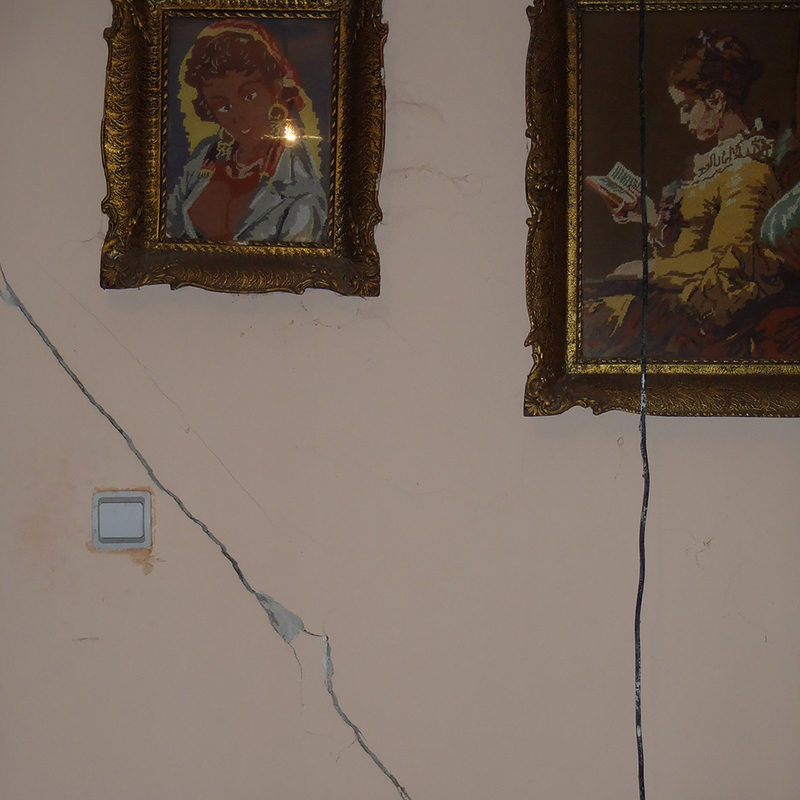 A fair resettlement, the main request of the local community for these past 10 years, has still not been granted by the Serbian authorities and EPS. The case of Kostolac B3 and Drmno is now shaping up to become a similar controversy. 80% of households have one or more members suffering from chronic and/or frequent illnesses. All but one respondents agree that the proximity of the Drmno mine and the activities of the lignite power plant have caused indisputably adverse health impacts. Almost all respondents (except for two) said they suffer from different types of negative impacts and damage to their property, deriving from the activity of the mine and power plant. 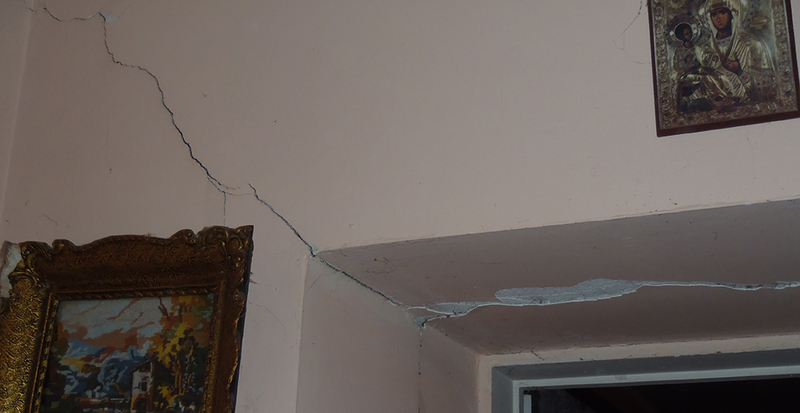 Nearly 80% of the interviewees (78.7%) confirmed the presence of cracks in their houses (on walls, ceilings, pillars and roofs), as well as on sidewalks and other concrete surfaces in their backyards. In addition to physical damage and destruction of their property, respondents also cite many other damages and impacts on their lives in the village: the noise of trucks, excavators and other heavy vehicles that operate 24 hours a day, conveyor belts transporting coal, coal crushers and other machines. 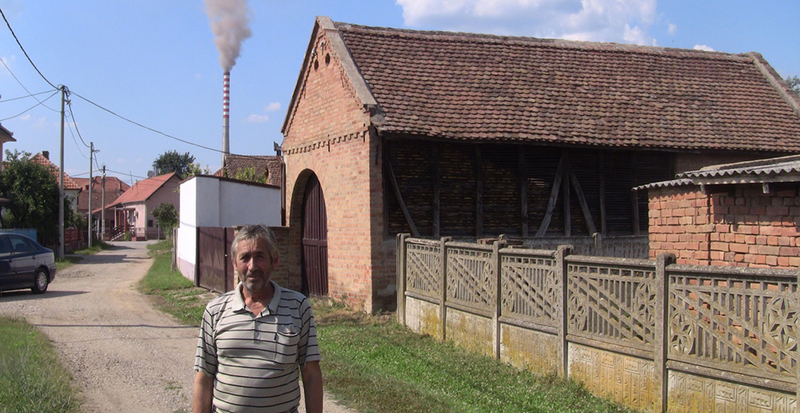 Social and environmental impacts of coal power production seem only secondary to Serbian authorities. Drmno is one example too many that this development path is a dangerous one for Serbian citizens, despite assurances that it is in their best interest. During last week’s hearing, in reference to the issue of cross-border impacts on Romania, CEKOR was accused to “care more about the health of Romanians, than about the jobs for Serbians”. But while the often-cited job argument is becoming obsolete if people are too sick to work, it also never was an either-or decision. With mounting evidence of the huge environmental, health and economic costs of coal power, Serbian authorities and the financiers of Serbia’s energy sector, including the European Bank for Reconstruction and Development, should look to investments in renewables and energy efficiency, which also require a workforce but without the devastating and uneconomic side effects of coal. 1. CEKOR commissioned the survey to the sociologist Dr. Ksenija Petovar, retired professor of architecture and geography, who was part of the team who designed the “Blue book of resettlement of Vreoci”, a document co-signed by the government, the local community council and EPS.